J&A supports our clients through the many phases of site development plans for commercial, industrial, and institutional facilities. This process requires our designers and engineers to work within the boundaries, easements, and municipal codes and regulations to design a facilities that meet the needs and expectations of our client. We assist in obtaining the necessary permits and approvals for design and construction. These activities require clear and frequent communication with local and state regulatory agencies including the Planning Commission, City and County Engineers, the Department of Transportation, and environmental agencies. 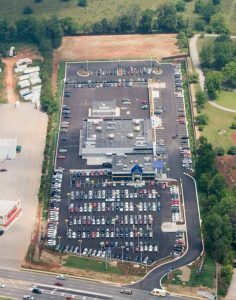 From schools, churches, hospitals, retail centers, industrial warehouses, and many other facilities, J&A has a proven track record of satisfying our clients’ site development goals in a timely and cost-effective way.